RAGNAROK 2: LEGEND OF THE SECOND BEGINS OPEN BETA HAS BEGUN! “Ragnarok 2 Beta is now in full swing! Ragnarok 2 will have plenty of events to participate in during the beta period, with prizes ranging from ingame items, to exclusive titles players can only earn during beta! For more event details: https://www.playragnarok2.com . 1. Double your Fun with Ragnarok and Ragnarok 2! Players with a Ragnarok 1 account and register for a Ragnarok 2 account on the same WarpPortal account will receive a bonus to both accounts come launch! Reach level 10 with your character during the beta period to have your name saved for commercial service. Register for Ragnarok 2 and be entered to win ingame items as well as WarpPortal energy! Visit and like the official Facebook and for every Like Milestone reached EVERYONE on the server will win a prize! 5. Welcome Back Beta Players! All players participating in the Beta will receive 1 free VIP token when they return for the commercial launch! Trivia questions will be posted throughout the beta period, answer them correctly to receive ingame costumes and accessories! Accumulate at least 10 hours of logged in time during the Beta period. This will help us keep the numbers close to maximum to let us fine tune the setup for our launch! 8. RO2 and You Make Beautiful Music Together! We will make all the Ragnarok 2 music available for your enjoyment. Be creative with it, remix it, sing to it, create videos or any other creative endeavor! Post it up on Youtube and link it back to us on Facebook for the community to enjoy! Characters that reach the leveling cap during the beta will be granted Prize packages including leveling power ups when we launch! 10. Special Title for Beta Testers! Participate in the Beta to receive the “Pre-Historic” special title after commercial service! Complete 15 Khara missions during the beta to receive a random Accessory box. Complete 3 dungeons during beta to receive a 7 day Angel Costume after commercial service! Random town invasions will be announced ingame throughout beta! Collect 1 full page of Cards during beta to receive free durational card albums! 16. Try It Now, Get It Back! Try out unique items from the Item shop, with certain items that will not be available after official launch. After Beta ends we will return all those items to you once we officially launch, so you get these limited items for official service! For More Event details or to register for beta: https://www.playragnarok2.com . BUENA PARK, Calif. (April 10, 2013) – Gravity Interactive, Inc. is proud to announce the release of their most popular MMORPG as a free, multiplayer iOS application Ragnarok Online: Valkyrie Uprising which can be found on the Play Store(Android) and App Store (iOS) starting April 10th, 2013. With our launch, there will be several tie in events found on the Official Facebook page and a special event for all players of the Classic Ragnarok Online PC MMORPG! For all players of the Classic MMORPG who register to play Ragnarok Online: Valkyrie Uprising, and sign up here will receive free ingame items on the PC version of Ragnarok Online. 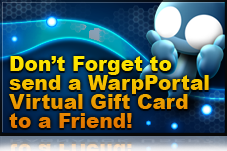 Facebook page will be hosting several events that will earn players free ingame prizes and free “Rubys” to use toward shop items! Ragnarok Online: Valkyrie Uprising will be completely free to download and play! You can also enhance your game play with purchases from the “Shop” in the game through the App Store (iOS) and Play Store(Android). Join in on the fun now and download the free app and experience what millions of other users love, all in the palm of your hand. Players will begin their adventure in a familiar world hundreds of years after the events of the classic Ragnarok Online but continuing the lore established in the beloved Ragnarok Manwa by Lee Myun-jin. Characters can be customized from their unique equipment and costumes, to their battle cry and emote sounds. The tens of millions of Ragnarok Online fans will find many nostalgic elements in-game such as beloved pets and monsters presented in a whole new way! Acclaimed Japanese composer, arranger, and musician Yoko Kanno, known for her in works in Japanese Anime such as Cowboy Bebop, Ghost in the Shell: Stand Alone Complex, provides the complete soundtrack to this online adventure. BUENA PARK, Calif. (March 21, 2013) – Gravity Interactive, Inc. is proud to announce the release of their most popular MMORPG as a free, multiplayer Android application (iOS version coming soon! ), Ragnarok Online: Valkyrie Uprising which can be found on the Google Play market starting March 21st 2013. Ragnarok Online: Valkyrie Uprising will be completely free to download and play! You can also enhance your game play with purchases from the “Shop” in the game through the Play Market (iTunes coming soon).